It is here again! 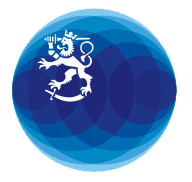 Apply to the thisisFINLAND Foreign Correspondents’ Programme – Alumni Edition 2019! If you have participated in the Foreign Correspondents’ Programme or Young Journalists, as it was first called in the 90’s, now you might have a chance for another Finland-packed experience. Foreign Correspondents’ Programme – Alumni Edition 2019 starts on June 10th and ends on June 16th, 2019. Check out if you’re eligible and apply now! Full of illuminated surprises, the annual Lux Helsinki light festival uses coloured beams to transform some of the city’s best loved buildings and streets in early January. You can see them in our photos without braving the cold.